Did you know that our market supports local good causes? We give a free pitch at an agreed date enabling them to fund-raise and raise awareness and we donate the profit from that market to the charity. This Autumn we supported LILAC (Local Isolation and Loneliness Action), facilitate activities to reduce the isolation and loneliness experienced by older people in the community. An example of the kinds of projects they run is ‘Tech & Talk’. These fortnightly sessions are held at two venues in the area – here at Tobacco Factory and also at Mezzaluna. 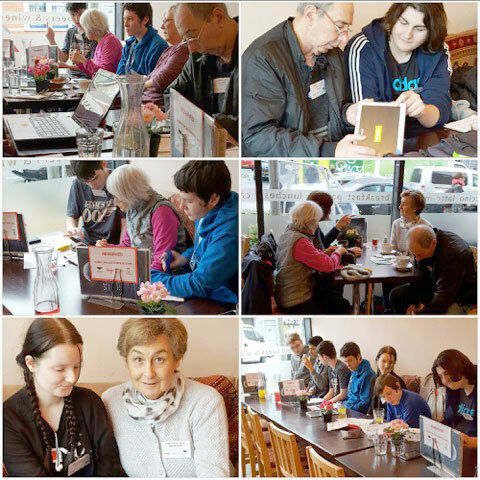 They are designed to assist older people with any technical advice they have whilst enjoying a free tea or coffee.